For the past twenty years, the Virginia Department for the Deaf and Hard of Hearing (VDDHH) has been tracking the different types of equipment issued to consumers in Virginia. This equipment has been tracked by age, type, degree of hearing loss, and income. From these aforementioned elements, a correlation can be performed on how the change in technology has changed the recipients' ability to communicate. Twenty years ago, a relational database was built to track the equipment assigned to consumers who were deaf or hard-of-hearing. The database was designed from an older system that had flat files and used identifiers such as social security numbers (SSNs) to link the data. The system allowed basic reporting, data entry, and data to talk to other data through code. In 1997, the system was moved from the flat files of Data Ease into a Microsoft SQL Server Database using a Windows front-end. This allowed the data to be relational, so queries could be run on the data, and a relational database could be used. The Relational Database will have a centralized place for data; since it is relational, the tables can be related to different tables based on categories, so that the data will be in format that can be used based on written queries (Laudon & Laudon, 2007). This will reduce data redundancy and inconsistencies in data. Knowledge-based software and system analysis were used since all code, interfaces, standards, regulations, and laws will be reusable as documentation, historical data, or as prototypes for the project. The research for the system and the business process were part of the infrastructure of the IT Department. A relational database was used, and this database will have a centralized place for data. Since it is relational, the tables can be related to different tables based on categories, providing data in a format that can be used based on written queries (Laudon & Laudon, 2007). This approach will reduce data redundancy and inconsistencies in data. There are limitations for a data warehouse. Someone must constantly analyze the data and make sure that the execution of the data is timely and accurate. That is why the data warehouse has to be built in accordance with the impact of the data that is needed. Workloads need to be analyzed and characterized to see the impact of running more than one workload at a time. It is also important to test and analyze the impact of running and executing multiple workloads at the same time. If some of the workloads do not work well together when executed at the same time, it will impact the performance of one or more workloads (BMC.Com, n.d). The best way to keep peak performance is to not run these workloads at the same time. In our data warehouse for tracking VDDHH client data, there are three workloads. Each needs to be run separately to avoid any impact they may have on each other if they are run together. To avoid performance issues, the first is run on the last day of the month at 6:00 PM, the second is run at 6:30 PM, and the final run at 7:00 PM. If there are issues with executing any of the workloads, an email is sent so that an analysis can be done to see what has caused the issues. From here, data marts can be created to reduce the impact of the workloads' negative performance. The marts can divide the work across the different data marts reducing the chance of other workloads competing for the same execution time (BMC.Com, n.d). This process will also decrease the negative impact on the server. Another factor that will impact the workloads is the clean-up of the data. If the data has not been analyzed and normalized or mapped correctly, it will affect the workloads (BMC.Com, n.d). The workloads will be trying to be move data from one source to another where it cannot be moved since it was not structured properly. This will have to be marked as a risk and remedied to ensure the integrity of the data. One of the issues when converting from the flat files into SQL was the redundancy of clients. This was not evident until a complete analysis had been done on the system. The duplicates were removed by running queries and remapping the data based on its cardinality. Once this process was done, VDDHH was able to work with a clean data set and would then monitor the data. This eliminated the risk of not having the data mapped correctly and having queries that did not report the data effectively. Performance management of the data warehouse is based on the architecture and designer/developer. They must understand the data that will be used in the data warehouse and how the data will be used. From that point on, how the data is handled will impact the performance of every action going forward. Once completed, studies can be conducted to show how human interaction is analyzed based on a specific disability. Questions will need to be asked if social interaction, communication, linguistics, and the use of social media is impeded by the lack of assistive technology. Since 1997 there have been consistent blocks of data collected on specific age ranges. These ranges were chosen since they were identified as preschool, school age, college/initial work force, middle age/intermediate workforce, experienced work force/established citizen, pre-retirement, and retirement. The range titles may have been renamed over time, but they are consistent in scope, and the ranges give an indication as to whom is using available technology. The years in table represent a calendar year. The same data above may be graphed as a stacked area chart. 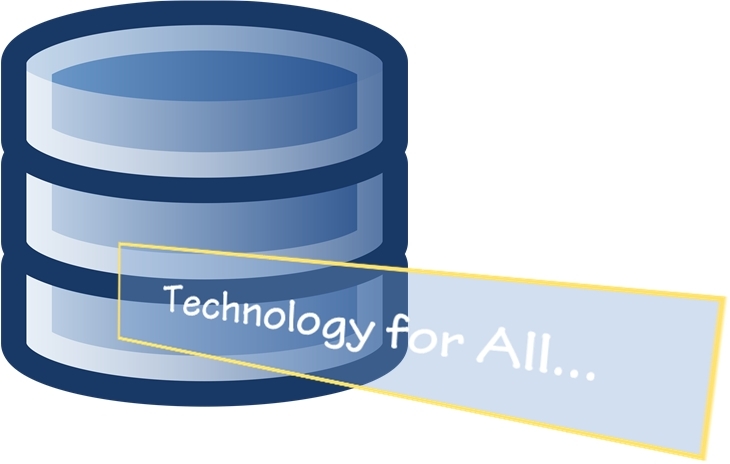 Let’s talk about data integration. In order to improve the user’s experience and to design better applications, Mercioiu and Vladucu write, “Analysis and optimization techniques require individual approach but also of the whole set of queries, on the premise that although individual queries can be optimized enough, the whole set performance may be poor” (2010, p. 56). Therefore, the designer or developer should run tests on each query against the operation or function of the server to ensure that the client to server request time and post back data is done as expected. The above data was run to indicate the need for social interaction through assistive technology. When testing for web accessibility, one of the tests is for people who cannot hear or have difficulty hearing. By having developers design queries that keep a specific count of people in definitive age ranges help to keep technology up-to-date, studies current, and services responsive. School age children do not take advantage of the program or get the equipment other places. Young Adults from 18 to 25 do not take advantage of the state program and based on the statistics trends in technology have not changed the numbers. People in the bracket from 25 to 65 are starting to see the benefits and are more likely to use the program. People over 75 have advocates who introduce them to programs like TAP. One statistic that is not showing here and can be determined by using a query is how often people return and upgrade their equipment. In Virginia, individuals are eligible for replacement equipment every four years or sooner if your degree of hearing loss changes. In addition, a new device previously tracked in a separate database, was combined with TAP records adding approximately 200 users per year. For the Deaf Community, computer interaction has been affected by social media. Social networking involves the social relation with other people who have some type of relationship or affiliation. The evolution of social networking has spanned chat rooms, mobile phones, discussion boards and other ways of communicating with others through technology (Light and McGrath, 2010). One of the platforms, Facebook®, is trying to become more user friendly so that all users including those who use assistive devices can use their interface without difficulty. Facebook has been a strong social network system for reaching a large population of people who have similar interests. Evans-Conley writes in her research that Facebook has become one the fastest growing social network tools since Facebook groups can be created and organized by interests (2010). For this reason, more organizations are interfacing with Facebook by creating pages and either asking users to like or follow the organization’s pages. With Web 2.0, this has become a marketing trend since Facebook has a large following and the organizations rely on information technology webmasters and social media to ensure that data is posted to the sites. Social media such as Facebook can be used to bring together users who are doing research in like areas including those in the deaf community. Using resources such as VDDHH could help groups increase their knowledge base since these groups have a presence and resources for providing technology. VDDHH has a database that tracks the type of technology that people who are deaf and hard of hearing are using to access technology. People who rely on Web 2.0 and deliverables through social media can benefit from this knowledge so they know how to deliver their content. In order for social media and other groups who rely on the technology to be able to reach out to groups that they have not been able to in the past because of technology limitations they should look at state services. Within state programs, there are groups that can provide statistics on individuals receiving services, as long as those statistics do not include sensitive data. Having a database that will collect data to predict trends will help enhance technology. The data collected can be used to run queries that will enable us to see trends that will help all users access all forms of technology. If taken a step further, the trends can also lead to addressing issues in service gaps. This allows research using larger populations. When we use technology, we may limit 20% of the users if we do not build in accessibility. By working with trained professionals in these areas and people who work in these areas you may find a new area to gather data and research. BMC.Com. (n.d). Performance management of a Data Warehouse. Retrieved from http://documents.bmc.com/products/documents/93/24/9324/100034259/index.htm. Business Dictionary. (2012). Relationships. Retrieved from http://www.businessdictionary.com/definition/relationship.html. Evans-Cowley, J. (2010). Planning in the age of facebook: The role of social networking in planning processes. GeoJournal, 75(5), 407-420. doi: http://dx.doi.org/10.1007/s10708-010-9388-0. Golfarelli, M. and Rizzi, S. (2009). Data Warehouse Design: Modern Principles and Methodologies. McGraw-Hill/Osborne. Laudon, K. C., & Laudon, J. P. (2007). Management information systems: managing the digital firm (10th ed.). Upper Saddle River, NJ: Pearson Education. Mercioiu, N., & Vladucu, V. (2010). Improving SQL server performance. Informatica Economica, 14(2), 55-60. Retrieved from http://search.proquest.com/docview/613368167?accountid=8289. Donna Bridgham is a Systems Analyst with the Commonwealth of Virginia with the Division of Aging and Rehabilitative Services. She provides customer service to the Virginia Department for the Deaf and Hard of Hearing. Bridgham is proficient in breaking down high level information into details for designing databases and prototypes for application design . She also has a technical expertise in data analysis. She has a B.S. from Lyndon State College, an MBA from Northcentral University (NCU), and an MS in Information Technology from American Public University System (APUS). She may be reached at donnabridgham@comcast.net. Discussion of "Using Data to Provide Responsive Assistive Technologies and Services"
Version 18 id 791817 of this page, updated 20 June 2016 by Colleague 2 Colleague. Created by Shalin Hai-Jew.